The China Pakistan Economic Corridor has the potential to fundamentally alter the China–Pakistan relationship. Until now China has had the luxury of taking the position that Pakistan’s domestic woes were none of its business. But with the security of thousands of nationals and billions of dollars of investments at stake, China may find itself increasingly drawn into Pakistan’s politics and security concerns. China’s One Belt One Road (OBOR) initiative is an incredibly ambitious undertaking — and perhaps Beijing is only starting to realize just how ambitious it is. The OBOR involves building a host of new infrastructure connections between China, Russia, Central Asia and the Indian Ocean. A complementary series of ports and other infrastructure projects across the Indian Ocean called the Maritime Silk Route (MSR) adds a maritime leg to the land-based connections with the Indian Ocean, including the China–Pakistan Economic Corridor (CPEC) and the proposed Bangladesh–China–India–Myanmar Economic Corridor (BCIM). China has now also established major financing bodies, including the Asian Infrastructure Investment Bank and the Silk Road Fund, to help fund an estimated US$250 billion worth of OBOR projects. In some ways the initiative seems the ultimate expression of China’s ambitions to remake the world around it. If built, the initiative could change the strategic and economic character of Eurasia and the Indian Ocean region. China would no longer be dependent upon its connections with East Asia and the Pacific; it would sit astride two oceans and potentially be able to dominate the entire Eurasian continent. But there is reason to be sceptical about how much of China’s plans will actually come to fruition. Elements of the OBOR — particularly in the Indian Ocean region — are increasingly seen as more of an expression of China’s long-term aspirations than reality. The OBOR initiative requires cooperation among many countries that are politically unstable, corrupt or experience high levels of civil conflict. This creates considerable risks for the implementation and operation of integrated infrastructure projects. This is particularly the case in the Indian Ocean region. Several of China’s neighbours — particularly India — have considerable concerns about the strategic consequences of China’s plan, although they remain tempted by the prospects of major Chinese investments. There are other problems. The MSR remains one of the least defined elements of the OBOR. China has been involved in constructing several ports in the northern Indian Ocean for several years. But there are few signs of this evolving as planned into a cohesive regional system in which goods move freely between Chinese-owned production zones situated in different countries. Several Southeast Asian states that are embroiled in maritime territorial disputes with China are looking at China’s proposed port projects warily. While Myanmar and Sri Lanka are happy to take Chinese investment, in recent years their leaders have faced considerable political backlash over corruption issues and Chinese control over infrastructure. India has particular sensitivities towards the MSR, which are driven by security concerns about any Chinese presence in the Indian Ocean. In June 2015, India’s Foreign Secretary, S Jaishankar called the MSR: ‘A [Chinese] national initiative devised with national interest, it is not incumbent on others to buy it’. Given India’s economic heft and geographic centrality, it is not clear whether the MSR would be viable without Delhi’s cooperation. There are also questions about the proposed BCIM project. The BCIM has been under discussion for some years and could well remain just an idea for years to come. In order to be successful, the BCIM project would require the coordination of major infrastructure projects and the free flow of goods and people between China, Myanmar, Bangladesh and India – four countries whose relationships have been historically difficult. Delhi has essentially placed the project on hold. India has security concerns about developing roads between China and its northeast states, because of the potential for China to effectively colonise that economically undeveloped region. Some in China are beginning to realize that India is an essential element in the BCIM and the MSR. And that China’s failure to properly consult with India about its plans would inevitably put India offside. Given the problems faced with the BCIM and the MSR, China is focusing on its third arm: the CPEC. In March 2015, President Xi announced Chinese investments in the CPEC of some US$46 billion. Pakistan is responding to China’s proposals enthusiastically, seeing it as an important balance against India, and perhaps for many, an opportunity to clip the ticket on Chinese investment. But China also faces considerable challenges in Pakistan. 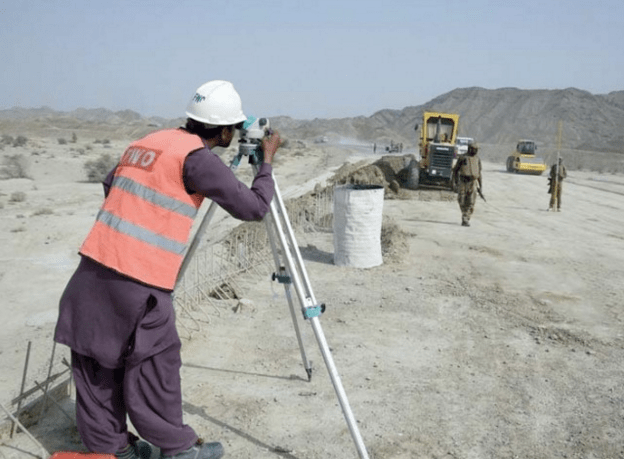 The CPEC’s route is still being finalized, but much of it would likely cross territories ripe with insurgency and resentment against foreigners. Ensuring the security of thousands of Chinese nationals will be a major problem and infrastructure itself will be vulnerable to attack. Many Chinese analysts take a somewhat rosy view that Pakistan’s problems will be resolved by ‘development’ (i.e. huge state sponsored projects undertaken by state-owned companies). But Beijing may find that Islamic fundamentalists cannot be so easily bought off. The CPEC has the potential to fundamentally alter the China–Pakistan relationship. Until now China has had the luxury of taking the position that Pakistan’s domestic woes were none of its business. But with the security of thousands of nationals and billions of dollars of investments at stake, China may find itself increasingly drawn into Pakistan’s politics and security concerns. China may need some luck in these endeavors. In all likelihood many of these grand projects in the Indian Ocean region will unfold slowly and incrementally and not at the breakneck speed that we used to seeing from China. David Brewster is a visiting fellow at the Strategic and Defense Studies Centre, The Australian National University. This article first appeared at the East Asia Forum. Click here to go to the original.